In lieu of flowers memorial donations may be made to the Wounded Warrior Project and left at the funeral home. 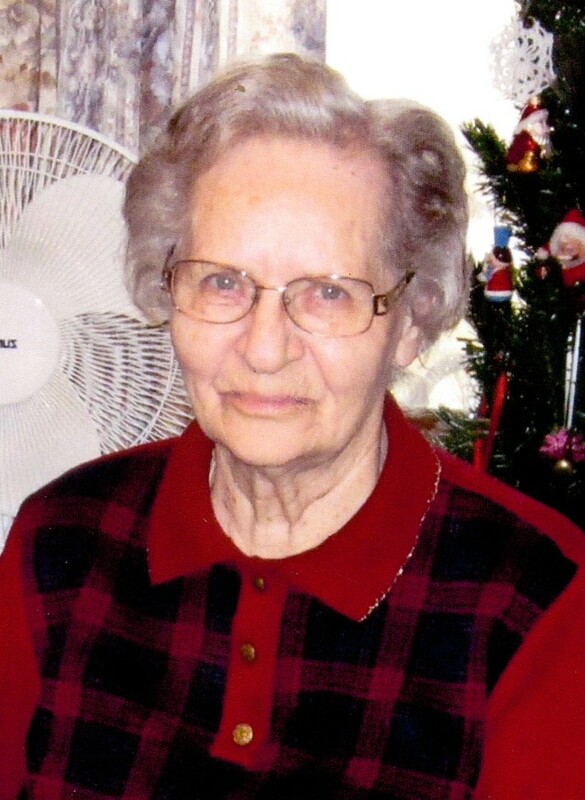 Clara Fay (Hillsman) Bradley, age 86, of rural El Dorado Springs, MO, passed away Wednesday evening, October 28, 2015. Clara was born October 8, 1929, in the southeast Schell City area to Clarence and Clara (Chandler) Hillsman. Clara attended El Dorado Springs High School, graduated at age sixteen, and continued her education at Southwest Baptist University. She went on to teach at Roberts School for a few years. Clara married Samuel Bradley on April 23, 1950. They were married 54 years before Sam’s passing in 2004. To their union three children were born. They lived in the Harrisonville, MO area for nine years before moving back to El Dorado Springs. Fay worked at the International Shoe Factory in El Dorado Springs for 24 years. During that time she worked alongside her husband on their farm, while caring for their children. Clara Fay was a caring, hard-working, independent, selfless woman. She took pride in taking care of her flower beds and garden. She enjoyed spending time and caring for her children, grandchildren, great-grandchildren, and great-great-grandchild. Preceding Clara in death were her husband, Sam; her parents, Clarence and Clara Hillsman; her sister, Mary Brower and brother-in-law Ernie; her sister, Lucille Luther and brother-in-law Clarence; and nephew, Walter Luther. Survivors include her three children: Sammy Bradley and wife Phyllis of El Dorado Springs, MO, Janice Moore and husband Howard of Windsor, MO, and Steve Bradley of El Dorado Springs, MO; grandchildren: Travis Bradley and family, Tammy and Jarrod Mays and family, Gary and Amy Moore and family, Bobbi and Jason Abbiatti and family, and Jennifer and Kenny Potter and family; and numerous great-grandchildren and one great-great-grandchild. Also surviving are one brother, Clarence Hillsman and wife Dorlis, and four sisters: Dortha Swopes and husband Leroy, Frances Budd and husband Bobby, Wilma Zartman and husband Ralph, and Josephine Hertzberg and husband Don. Funeral services for Clara Fay Bradley were held on Sunday, November 1m 2015, at 2:00 p.m. at Bland-Hackleman Chapel with David Studer officiating. Interment followed in Pleasant Grove Cemetery under the direction of Bland-Hackleman Funeral Home. Pallbearers were: Travis Bradley, Jarrod Mays, Kenny Potter, Garrett Mays, Gary Moore, and Jason Abbiatti. Honorary pallbearers were: David Hertzberg, Jay Potter, Conner Bradley, Carl Luther, Bennie Brower, Cody Potter, Wyatt Moore, Eldon Swopes and Buddy Brower.